Basically, when you register for web hosting solutions, a hosting company might offer an interesting hosting deal with a package including free domain name registration, but it might not be the situation with every host. If you have a plan to run a website, it is very important for you to understand what exactly a domain name is. 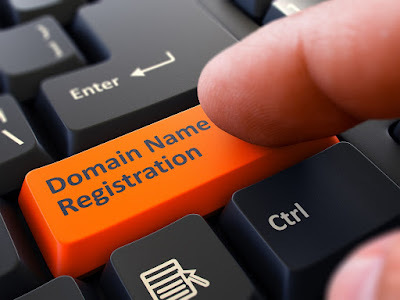 Simultaneously, if you want to offer domain registration or hosting services to your clients, you need to research more about renewal process and domain registration. Therefore, we are here to help you dig into this topic. In the following, we are going to analyze more about domain registration with the hope of widening your knowledge about domain registration. Domain name registration is the process of keeping a name on the Internet for a specific period of time, normally for a year. This domain will be yours as long as you make it new again and you have no way to buy a domain name forever. Domain name registration is critical for an email, a website or a web service. Nevertheless, you do not need to always register a new domain name. A lot of companies let you have an email with their primary domain or you can use subdomains for their website (example: yahoo.com, gmail.com). The most crucial thing about a domain name registration is the recognized identity and personality that it gives you. Once you register for a domain name, it is easy for you to have its information because it is public. The price for a domain name registration changes sharply on its extension. For example, the most affordable domain is the most common one which is .com, while some country-detailed domain name extensions are 5 times more pricey. Keep the name brief and simple and strongly related to your business. Note down a list of possible names. If you find it hard to find a great name, try to think about some ideas closely related to what services you are providing. Also, you can find some catchy phrases in your promotional pamphlets or brochures. Usually, you have to try to combine separate words into a make-sense phrase that works for you and finally narrow them in few options before making a quick check to see whether the domain already existed or not. If it happens, you can think of a new one. Or if you insist to take that name, you can get in touch with the site owner and ask he/she for selling that domain to you. If one of your goals is to let a specific group of Internet users view your site, you should try finding a domain name that is as closely related to what your targeted visitors would enter in the search engine’s finding box as possible. For example, if you sell backpacks in California and your company is named GP, you may want to choose a domain name like gp-backpacks.com instead of just gpshop.com. That’s because the second choice doesn't convey a clear indication of what type of products your business is concentrating on. As you can see, domain name registration might be complicated at the first look, but if you dig deeper into it, it’ll become easier. We hope with our little knowledge above, now you have a better understanding of domain name registration and how to choose a suitable domain name for your site. As we always say our paper is not perfect so we look forward to receiving your comments and feedbacks in order to better our next writings.